The start to the 2019 season has been rough for Mookie Betts. And in discussing his play, the reigning AL MVP isn’t giving himself any breaks. 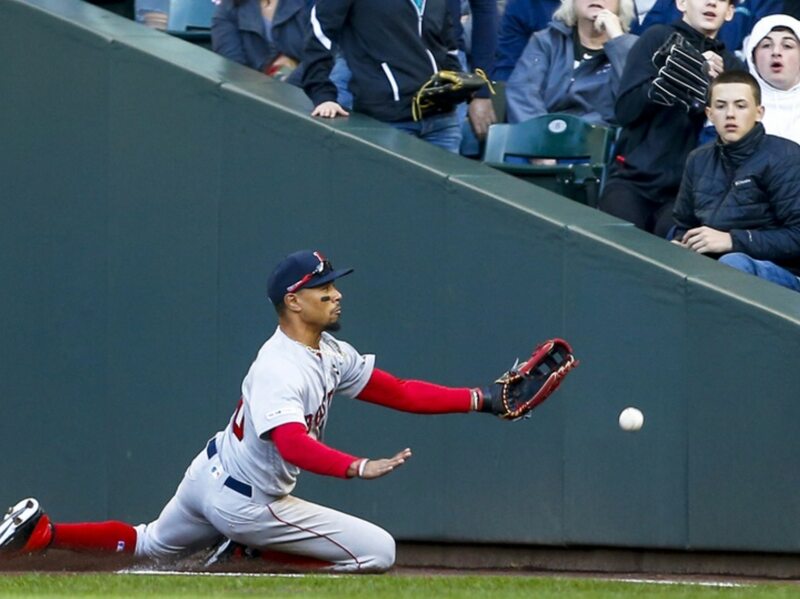 Red Sox's Mookie Betts: "Basically what I'm doing is unacceptable. I need to figure out a way to get something done and help the team." Betts is far from the only Boston player who is struggling. Monday’s loss to the Baltimore Orioles moved the Red Sox to 6-11. That puts them in fourth place in the AL East and only one-half game ahead of the last place Toronto Blue Jays. The natural response to that is to note that it’s still early. Therefore, there’s plenty of time for both the Red Sox and Betts to turn it around. That said, it also must be noted that Boston was 15-2 through 17 games last year. In that same stretch, Betts hit .390/.486/.763 with five home runs and had two steals. So, while there’s a lot of time remaining. Even still, it would behoove both Betts and the Red Sox to turn things around sooner rather than later.